Grew up with Olbia Basket (Italy) youth teams. Signed for the 2003-04 season by Mens Sana Basket Siena. Signed for the 2008-09 season by Virtus Roma. Signed for the 2013-14 season by Detroit Pistons. Played there till February '15, also playing with Grand Rapids Drive, NBDL. In February'15, signed by Boston Cetics. Named to the 2015-16 All-EuroLeague Second Team. Named the 2015-16 EuroLeague Top 16 Round 9 MVP. Won the 2003-04 Italian National Championship with Mens Sana Basket Siena. 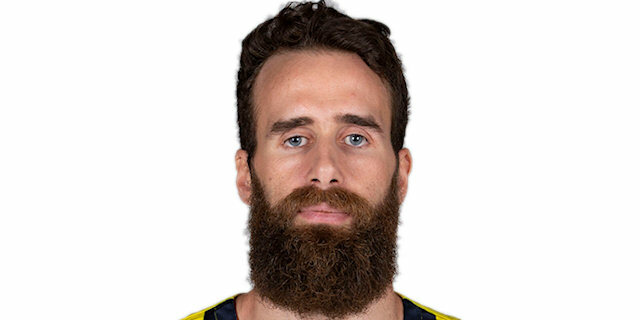 Named the 2015-16 Turkish League Finals MVP. Played the 2018 Turkish All Star Game. Won the bronze medal at the 2005 European U-18 Championship. Played at the 2007, 2013, 2015 and 2017 European Championships.